Another year, another What Car awards and this year the franchises that we supply have taken away 11 awards, congratulations to Ford, Kia, and Mazda. For a second time in a row, the Kia Picanto picks up the What Car? City car of the year! The Picanto is renowned for being a dependable city car that’s a treat to drive, and the all-new model is no different. Comfort, quality, and value for money are at the heart of the all-new Picanto, whilst remaining Kia’s smallest and most affordable car. The styling and features on the all-new Picanto guarantee to not only rival competitors but also help you to stand out from the crowd. Another one for Kia and this time it’s for the best family car under £20,000, right now at Sandicliffe Kia you can pick up the All-New Ceed from just £15,370. The Kia Ceed brings both practicality and style, with enough room to fit all 4 passengers and sizable boot space. The Ceed is fitting with tones of safety and entertainment features including Smart Cruise Control with stop & go functionality. If the car in front speeds up, the All-New Ceed accelerates up to the pre-set speed. If it slows down, your car drops the speed or even stops, to maintain the pre-determined safety distance. The All-New Ceed is also available with an 8 speaker JBL premium sound system, allowing you to stream high-quality audio throughout the cabin. Named, ‘Best Performance car of 2018 by the UK Car of the Year Awards’, the Kia Stinger does it again, this time being recognised by What Car. From 0 – 60 in just 4.7 seconds, making the Grand Tourer the fastest accelerating Kia Yet. You can max the Stinger out with a 3.3 Litre twin-turbo V6 engines that's good for 365 horsepower. The Mazda CX-5 comes with 4 wheel drive as standard this powerful machine is great for any activity, it’s no wonder that Mazda have sold more than 1.5 Million since the models launch, If you’re looking for an alternative SUV crossover that can rival those from the premium brands, don’t overlook the Mazda CX-5. With is award What Car have said “As good as our other price point winners are, we suspect some of you will be needing something even larger. 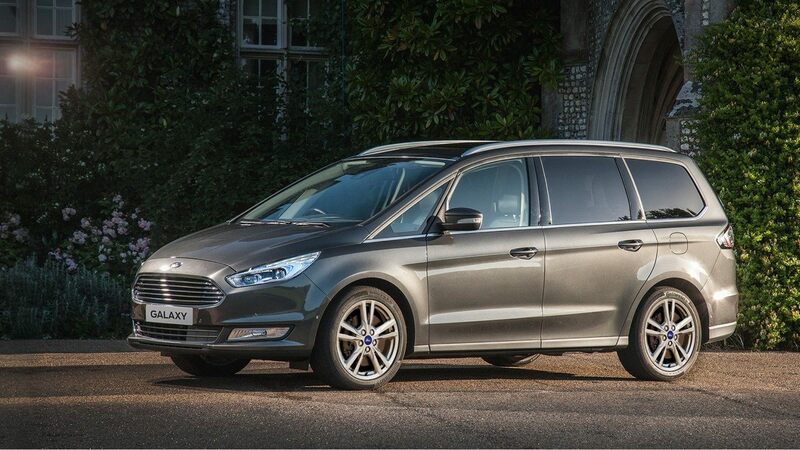 If that sounds like your predicament, check out the Ford Galaxy.” The Galaxy is great for big families with 6 passenger seats and enough room to fill them all up. The Ford Galaxy also has a 5/5 Euro NCAP crash rating. Sporty and powerful the all-new Ford Fiesta ST is back with a brand-new engine and improved spec. Featuring a range of upgrades including sports styling, a range of tech as standard and bold new colour choices, ST fans will not be disappointed. The Fiesta ST-2 offers; alloy wheels finished in Matt Black, rear window with privacy glass, blue stitching on floor mats and front seat belts, and armrest and light-up cupholders in the centre console. The Kia e-Niro is set to come out early 2019 and it’s already bagged Car of the Year and Electric Car of the Year. “Put simply, the e-Niro beats its rivals via knockout rather than on points, because it’s the first sensibly priced electric car that can fit into most people’s lives. If you are interested in any of these models, view our site, visit your local Sandicliffe Dealership or call us on 0115 939 5000. Make sure you’re following our Facebook, Twitter, LinkedIn and Instagram pages to be kept up to date with everything automotive.